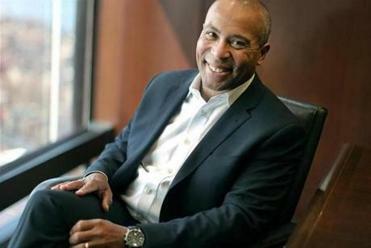 Former Governor Deval Patrick, a Democrat, is joining Bain Capital — an investment firm founded by his predecessor on Beacon Hill, Republican Mitt Romney. There are two chestnuts that drive Bain Capital partners crazy: First, the notion that they are ruthless capitalists who enjoy firing people. Second, that they are all card-carrying Republicans. Fifteen long years since Mitt Romney left the Boston investment firm he founded, those old impressions still rankle. 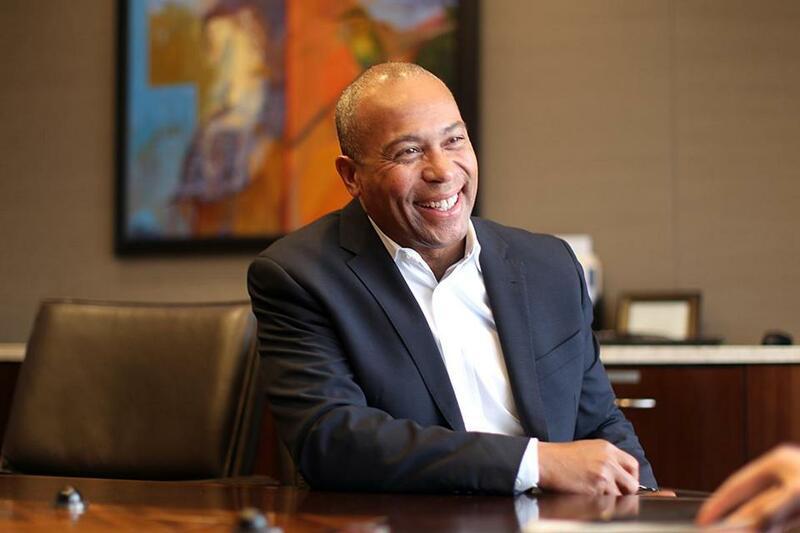 Enter Deval Patrick, former Massachusetts governor and a Democrat closely aligned with President Obama, named this week a Bain managing director who will focus on “social impact” investing. The newest Bain employee — and the public spirit implied by his new job — would seem to contradict the firm’s old image. But current and former partners, and close observers of the firm say Bain Capital is more of a big tent than many might think. Today’s Bain Capital, with 950 employees and more than $75 billion under management, is hardly a GOP enclave. Its top ranks include at least as many high-profile Democratic donors and voters as Republicans, a review of campaign contributions shows. Among 10 top executives at the firm in the last election cycle, six supported Romney and four backed Barack Obama. The former governor will direct investments in companies that produce profits but also have a positive social impact. To be sure, the firm still finances multibillion-dollar business buyouts, from Burger King and Dunkin Brands Group to Hospital Corp. of America and Virgin Cruises. But that accounts for only half of its business now. Bain Capital also runs hedge funds and big debt portfolios, and invests venture capital in younger companies. The firm oversees nearly 20 times the assets it did when Romney left to run the Salt Lake City Olympics in 1999. It is run by 105 managing directors, up from 17, and Patrick will be the first African-American with that title. It has about a dozen women managing directors; in Romney’s day there were none. While fiercely private about its business dealings, Bain’s culture has shifted away from the insular norms of its industry. The firm has emerged as a Boston institution, replacing the bankers of old, with deep roots in the community, in civic matters, philanthropy, and sports. Now, it’s adding to its roster of businesses a “social impact” fund, putting a nationally recognized politician — and a Democrat — at the helm of a firm closely associated with Romney. Managing director Stephen Pagliuca ran for US Senate as a Democrat, and retired Bain Capital managing director Mark Nunnelly, a Democrat, recently joined the Baker administration as revenue chief. One of the partners, Jonathan Lavine, was a top Obama fund-raiser. Another partner at the time, Andrew Balson, hosted a Romney fund-raiser during the presidential campaign. Wolpow and others said it was no surprise that Bain would jump into the new area of social impact investing. The social impact fund fits a growing trend among institutional investors and wealthy clients — to dedicate a portion of their money to enterprises that address social causes but also make a profit. And for Patrick, the fund represents an opportunity to make money while looking for investment deals that could benefit society in the areas of education, health, technology, and community development. Said TH Lee’s Sperling, “The whole idea of focusing on areas where there’s some social impact has some obvious advantages” for Patrick, a former legal executive at Texaco and Coca-Cola Inc. before becoming governor in 2007. It’s not yet known how large Bain’s social impact fund will be, or how investors will tolerate returns that may fall short of the double-digit gains they have come to expect from the firm. Bain’s partners will be putting their own money into the fund, as they always do, and will likely be the largest investors in the portfolio. “In the last 18 to 24 months there’s been more conversation around how to invest successfully and create wealth, while also doing good in the world,” said Gina LaVersa, a founder at Precision Capital in New York, an investment adviser to wealthy families that has done business with Bain since 2000. For Bain partners, the new fund is a way to merge their analytical approach to investing with a desire to show that they are more than the sum of the profits from their deals. The firm and its partners have always emphasized charitable giving. But for a long time they kept a low profile on their philanthropy. The Bain Capital Children’s Charity, launched in 1997, has given $43 million to youth causes over the years. Today, Bain partners chair or serve on the boards of City Year, the Dana-Farber Cancer Institute, New Profit Inc., and numerous other charities. And they are not shy about writing checks. After the Boston Marathon bombing, Bain was among the first companies to put up $1 million for the One Fund for victims. Top executives were early donors to Boston’s Olympic bid effort, which Pagliuca is helping lead. After Katrina and Hurricane Sandy, Bain Capital helped City Year quickly deploy groups of young adults to help tutor and mentor school kids, according to Michael Brown, chief executive and cofounder of the Boston-based nonprofit. He said the Louisiana team was set up within 100 days, instead of the usual year and a half. It is that type of action that Brown thinks Patrick and Bain can bring to their new fund. Only in this case, the focus will be on for-profit companies.